What is the building to the far lower left in the pic? Doesn't look like a corporate office. Did the Ford family live on site? 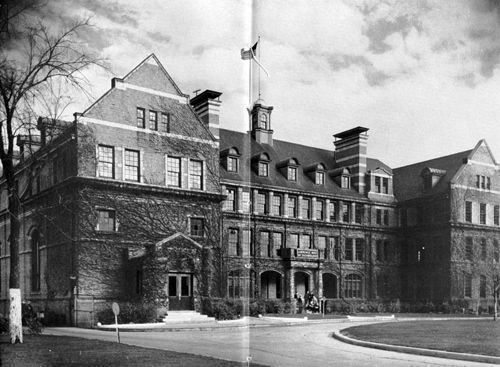 The building to the far left with the circular driveway is the Henry Ford Trade School. The Ford family lived in Dearborn at their estate Fairlane. Wow! Thanks for that bit of knowledge Ron. Back in 1975, as a green sales engineer I met an old guy working as a "plant engineer" (really a semi retired overseer) for a large machine shop in Emeryville, CA. He took a liking to me and sought me out every time I visited the plant. During our many visits he told me how as a young shiftless kid in Detroit, "The old man" caught him smoking behind one of Mr. Ford's barns. Mr Ford offered him schooling or jail! My old friend was then enrolled in the Ford Trade School receiving regular visits from Mr. Ford, just to make sure he was making progress! After a couple of years he was given a full time plant job in plant engineering, again watched closely by "the old man". I remember him telling me the school was in a "corner of the plant" and after morning classes he worked in he plant till nightfall. Mr Ford had a thing about "idle hands". I only wish I could remember this old gentlemans name, I'll bet Ford's record's would tell the rest of this story. This old photo makes his stories come to life for me. Sorry Jay, I Forgot to thank you for this trip down memory lane! 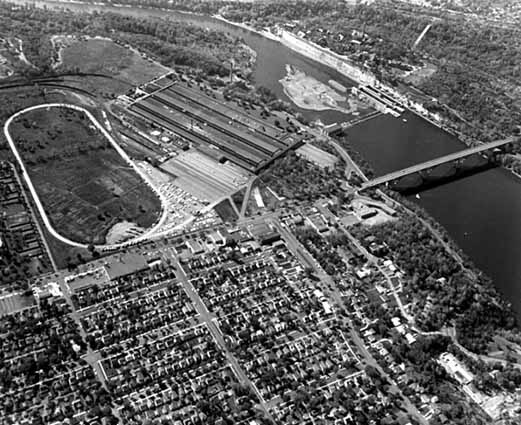 I remember the Ford plant area being between Woodward Avenue and Oakland Avenue and north of Manchester, but I can't make out which is which in the picture. Starting in 1964 i used to drive down Oakland going to work, and you had to cross the RR tracks going into the Ford plant at 40 m.p.h. Any more or any less and it would rattle the fillings out of your teeth. Thanks Ron! Pretty fancy for a trade school. The Highland Park plant faces Woodward Avenue. Manchester street is on the right and at the rear is Oakland Avenue. A photo similar to this was given to Ford dealers to hang in their showroom. I have one of those Ford dealer photos of the Highland Park facility hanging on my shop wall. 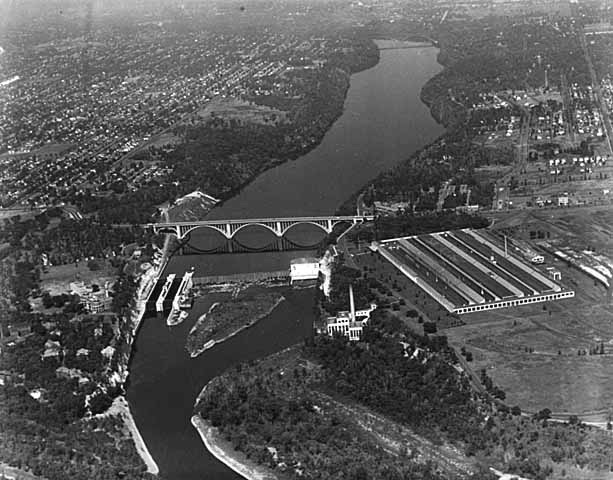 The Twin Cities Ford Plant along the Mississippi in Highland Park. 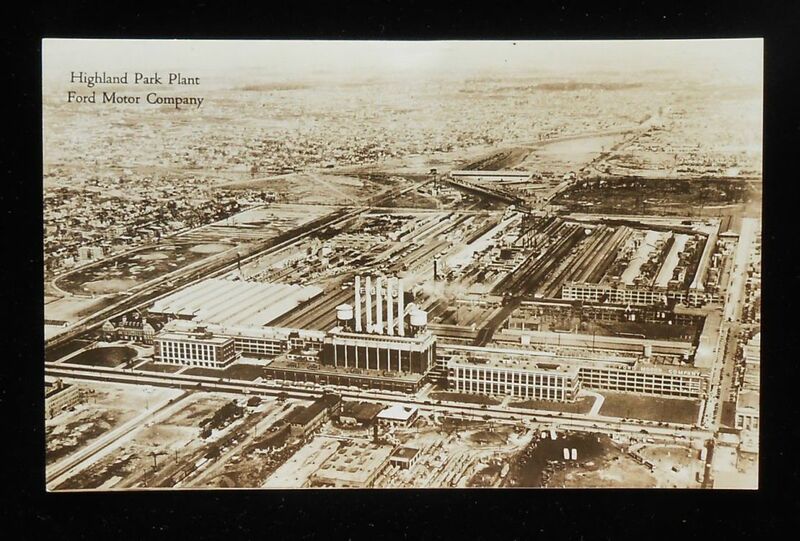 another view of the Highland Park Ford Assembly Plant along the Mississippi. 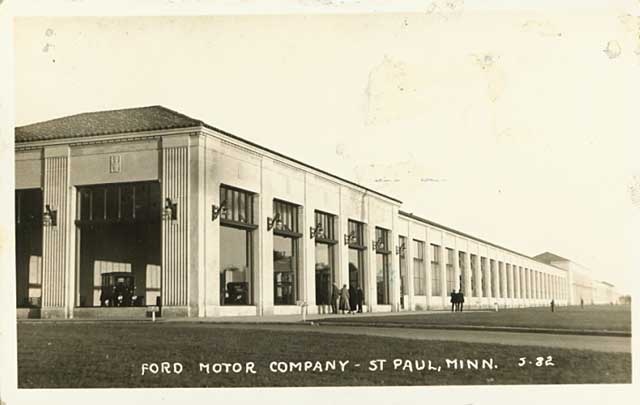 From the Model T era at the Twin Cities Ford Plant at Highland Park. Here is a better picture of the original Henry Ford Trade School building. In the middle 1930s, Lawrence Institute of Technology (now Lawrence Technological University) rented this space for a number of years. Looks like Manchester didn't show in the original picture, but it does in the picture you posted, and that makes it more clear.